A proposed constitutional amendment to impose term limits on justices of the Florida Supreme Court and state appellate judges squeaked through the Florida House Wednesday after a majority defeated a series of unfriendly — even sarcastic — amendments. The measure would limit judges of the district courts of appeal and justices of the Supreme Court to 12 years in office. Sullivan argued Florida’s merit-retention system for appellate judges isn’t accountable because the voters have never tossed out a judge. A number of Democrats argued the real motivation was to rein in a judiciary that has thwarted legislative initiatives. The measure is “short-sighted and punitive, an “assault on a co-equal branch of government,” Democrat Evan Jenne said. “And the only sin of that co-equal branch is providing a check and balance when the Legislature runs afoul of the Constitution — which, unfortunately, happens more than even I would like to admit,” Jenne said. Following the vote, Jenne said he learned the House leadership would move for a final vote only when he arrived on the floor. Democrats opted not to try to block the move, reasoning the measure won’t pass the Senate. A companion measure, SJR 482, has yet to be heard in committee. Tampa Democrat Sean Shaw described the abuse directed at his father, the late Supreme Court Justice Leander Shaw, while running for retention following an abortion ruling. The family received racist material in the mail, and pictures of dead babies. Republicans defended the proposal. Larry Metz, an attorney from Yalaha, argued that appellate judges set policy and need to be held accountable. 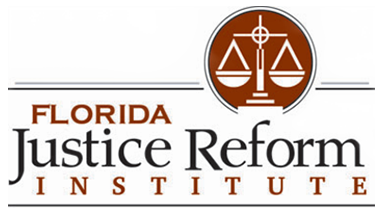 The Florida Justice Reform Institute issued its own statement. “Term limits are not going to ensure the best judges are on the bench,” said William Large, the group’s president. Sullivan warded off 13 of amendments by Jared Moskowitz, a Democratic attorney from Coral Springs, that frankly made a mockery of her proposal. Moskowitz proposed extending Supreme Court terms to 28, then 24, then 20 years, then 16, then eight. To extend term limits to trial judges. To require ex-judges to publicly disclose their clients. To bar them from appearing before their old jurisdiction for two years. He ended up withdrawing the amendments he didn’t withdraw Moskowitiz’s point, he said, was that the proposal would be a mistake and the 12-year limit aribitrary.